The woman, whose nationality has not been revealed, died soon after arrival at the hospital. 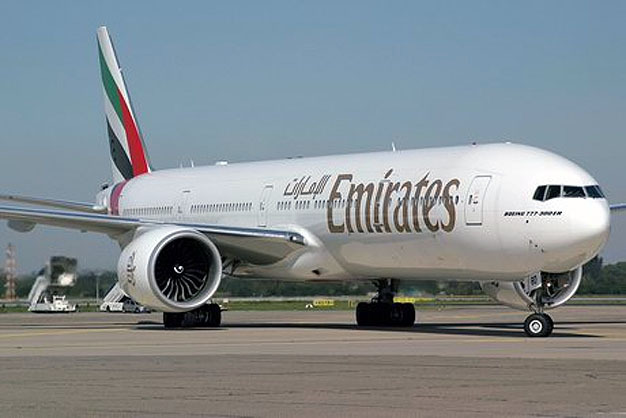 An Emirates Arline hostess, who fell from the emergency door of a parked aeroplane at Entebbe airport in Uganda, has reportedly died. The woman had been rushed to Kisibu hospital from the airport after falling from the doorway on Wednesday. Reports said that the flight attendant was preparing the flight for boarding when the incident happened. According to BBC on Friday, the woman, whose nationality has not been revealed, died soon after arrival at the hospital. The report quoted the hospital's spokesperson Edward Zabonna as saying that the crew member had injuries "all over her face and knees". He said that she had been "unconscious but alive" when she arrived at the hospital on Wednesday evening but died soon after. The Ugandan civil aviation said investigations have begun.